High performance systems for the removal of adhesive and solvent fumes from the work bench. Versatile products provide a safe and clean working environment when handling/ dispensing liquids with odours. Supplied complete and ready to use out of the box. Systems are supplied with user guide to assist with the initial setting up process. Customers can contact us for full support and advice in using this fume removal station. � UL, CE and CSA certified. 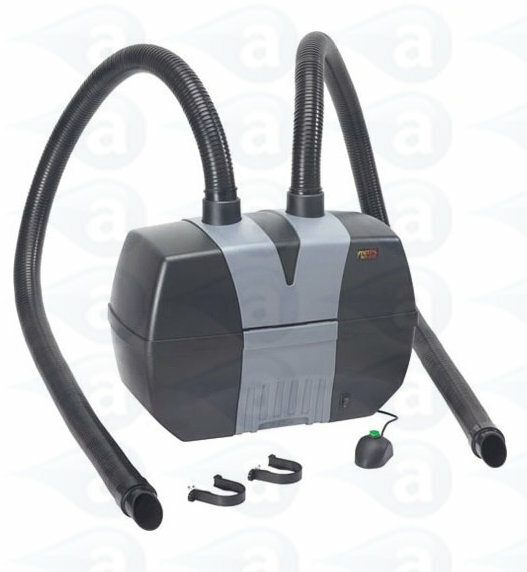 - 1 x BVX-203 Main Fume Cabinet Unit with Power Cord. - 2 x BVX-ARM Flexible Arms 710mm Long. - 1 x FG-BVX200 Deep Bed Gas Filter. - 1 x FP-BVX200 Pre-Filter. - 1 x User Guide/ Warranty Card. The BVX-203 Fume Extraction System is a revolutionary two-arm unit that combines powerful fan performance with efficient filtration, quiet operation and complete portability. It can be placed under or next to the bench-top and is supplied fitted with two 50mm diameter x 710mm long BVX arms, extra 1.8m long hose, table bracket and clamps. Using the proven fan motor of the BVX-100 Series Fume Extraction Systems, the BVX-203 adds a proprietary one-stage impeller design that doubles the total free-blowing airflow. 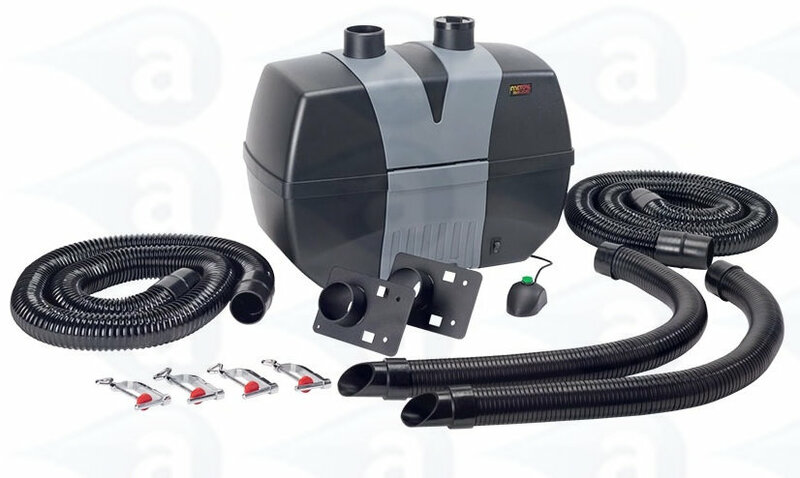 The result is a maximum free-blowing airflow of 250m3/h (150cfm), with a maximum suction force of 850 Pa (3.5"WC). This suction force provides ample capability in reserve to handle any clogging that may occur during the normal life of the filter. It is, in fact, the suction rating for this unit is one of the best in its class offered for such compact and portable systems. The BVX-203 Fume Extraction System is designed mainly for adhesive fumes and incorporates both pre- and main-filters which can be changed independently to maximize the working life of each filter and lower the total cost of ownership. The main filter has a HEPA efficiency of 99.97% at 0.3 micron, plus an activated carbon filter to remove additional gases. The new BVX-203 is a revolutionary two-arm filtration system that combines powerful fan performance with highly efficient filtration. The compact design and easy set-up make it truly portable. Depending on the application, two filter configurations are offered: HEPA filtration for solder fumes and gas-phase filtration for the removal of gases from solvents, conformal coating, etc. Summary: A simple system to remove adhesive and solvent fumes from the work area without the need for duct hoses or pipes. We ship this with accessories ready to use out of the box. It is CE approved & includes a full user guide.